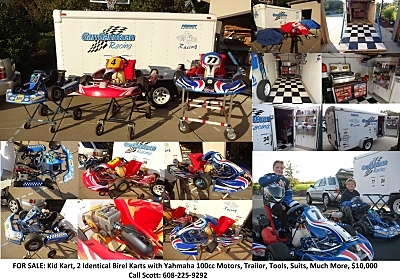 My two boys have grown out of kart racing. It was a great family thing to do. Started at 8 years old and finished at 17. 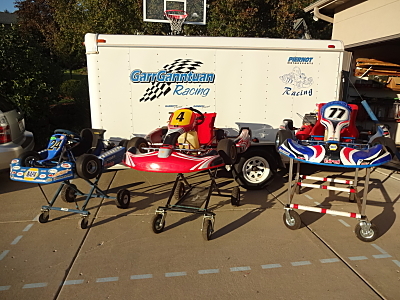 Great set-up for starting out with multiple kids, or for the serious racer - two identical karts. Would be great for a father son racing team also. I would like to sell everything together. You won't get a better deal. Individually all this would go for 2 to 3 times as much. We had so much fun, but our time has come to move on. . ..